Humans are destroying major elements of their planet’s life. At the same time, they are also doing some things to preserve and even improve it. What role has the law, including but not only that which fifty years ago began to be known as environmental law, played in the story of Earth’s health? In this essay with recognition of the immensity of the task I describe how and where the law has made a positive difference, nationally and internationally. And I point out where it has failed. I lay out an overall view of the challenges that have faced the efforts of environmental law and indicate which means have been and can be effective and under what circumstances. Finally, I offer a few lessons that we have learned. In the United States, the overwhelming majority of environmental violations are committed by businesses, which raises questions about when corporations should be prosecuted for environmental crimes. I argue that both corporations and individuals should be held accountable for environmental crimes but that prosecutors should exercise their discretion to ensure that criminal prosecution is reserved for the most egregious environmental violations. In this article, I review the broad doctrine of corporate criminal liability in the United States, which allows corporations to be held vicariously responsible for the acts of their employees or agents, if committed within the scope of the employment or agency and for the benefit of the corporation. I address how prosecutors exercise their discretion to narrow the broad scope of corporate criminal liability and why reliance on prosecutorial discretion makes more sense than proposed reforms to corporate criminal law that would focus on the role of senior management and/or a compliance program defense. I explain why prosecuting corporations is essential to environmental protection through law, even though corporations cannot be jailed, because corporate criminal prosecution serves retributive, utilitarian, and expressive purposes of punishment. The environmental governance is characterized for the cooperation and the interaction between public powers and private entities. Public Administration holds several powers in order to assure the highest level of environmental protection and cooperation of all the involved parties, and among those very relevant is that pertaining the authorization. Furthermore, on this field the assent approvals share many basic aspects, which consist in their expressed form and in their temporary validity. The paper aims to examine the enforcement tools by which the legal system implements the precautionary principle. The precautionary principle requires to prevent even potential environmental risks, for which there is no scientific certainty. In this view the ministerial orders foreseen by Environmental Code are very significant, even if they raise issues of compatibility with the rule of law and the principle of dutifulness of administrative action. The paper investigates the substantive and procedural limitations in the field of administrative activity that took place in the pursuit of the precautionary principle, as well as the available remedies in case of illegitimate administrative measures or in case of unlawful failure of the same measures. 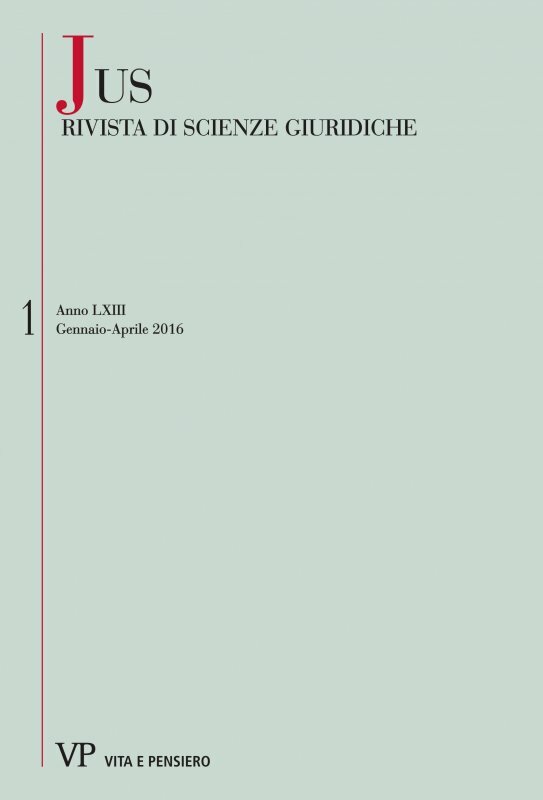 The paper analyses the evolution of the Italian environmental criminal law, focusing the attention on the principal issues that jurisprudential practice has traditionally faced. Moreover, the contribution critiques the distortions of the general categories of criminal law (in particular, abstract danger and crimes against the public safety), connected with the judicial effort to ensure – seen the precautionary principle – an adequate protection of the environment, with all its basic elements (soil, air, water). The Author, then, examines the new criminal offences – environmental pollution and disaster – introduced with the Law No. 68/2015 in the Italian Penal Code. While being an appreciable attempt of the Italian Legislator, in order to solve the issues which have raised in the last decades of judicial experience, the reform arouses perplexities not only from a criminal policy perspective, but also for the use of unclear and imprecise legal definitions. The essay aims at discussing the most innovative legal tools that could assure a higher level of effectiveness in the environmental protection, by performing a flexible attitude and by fostering stakeholders’ participation. Such a study is conducted also through a comparative approach with the U.S. legal system, mainly with that concentred on injunctions. The provisions that in the Italian legal framework seem to express those features – as they recognize prominent relevance to administrative prescriptions in order either to establish or to impede criminal liability – are critically analyzed. In particular two risks are highlighted: the lack concerning the enforcement effectiveness; the increasing extension of the precautionary principle application to privates entities (i.e. individuals, companies). An innovative perspective is sketched out, which is inspired by conservation criminology studies and tries to enhance several enriching outcomes of the adaptive management approach.